What do you look for? What do you need? Is your boat big enough? Check out our buying guide below and find out. A good quality boat loader should be built for your rig, not the other way around. The unique requirements of your tinny need to be considered, in addition to your chosen vehicles load capacity. Some will insist customisation isn’t required, that one size fits most – this is untrue. 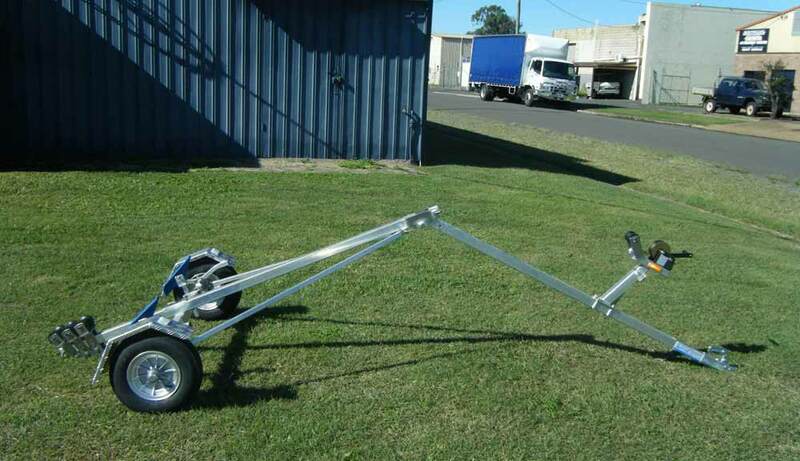 Your tinny needs to be supported on the road and as it is winched from the water, only a customised boat loader can deliver. Stronger is better, and when it comes to boat loaders, anything under a powerful 12v winch won’t offer the smooth loading experience you know you deserve. Try to pick up a loader with a two tonne rope and stable construction – we recommend aluminium for a reliable product. Ideally, you’ll need to discuss any weight specifics when buying your loader. Know the specifics of your rig, including weight and length. These will influence what kind of boat loader you need. Do You Need Help Loading? The best boat loaders are one-touch automated, loading and unloading your boat at the push of a button, with a little help from you when required. You shouldn’t need two or three people to get one tinny on-board, even if you’re carrying the boat on top of your caravan. Will it Take Up Space? We understand you need every square inch of storage for the more important things in life – boat loaders should double as roof racks, removing the necessity of investing in another piece of equipment and automatically acting as a space saving solution. Minimise weight bearing and aim for around 30kg – you need to be able to transport everything safely yourself, and an aluminium frame will be resilient without needing any extra up-keep (beyond a washing down). Remember, taking your tinny on holiday shouldn’t be stressful, expensive or complicated. Buy quality and spend some well-earned time on the water without the backache! Get in touch with Almac Trailers today on (07) 4152 3737 for all your boat loader needs.